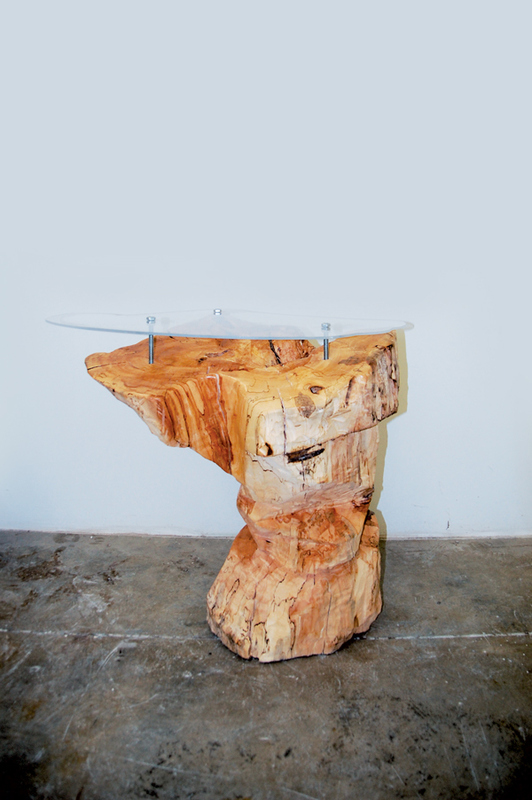 End table carved from a spalted maple stump. 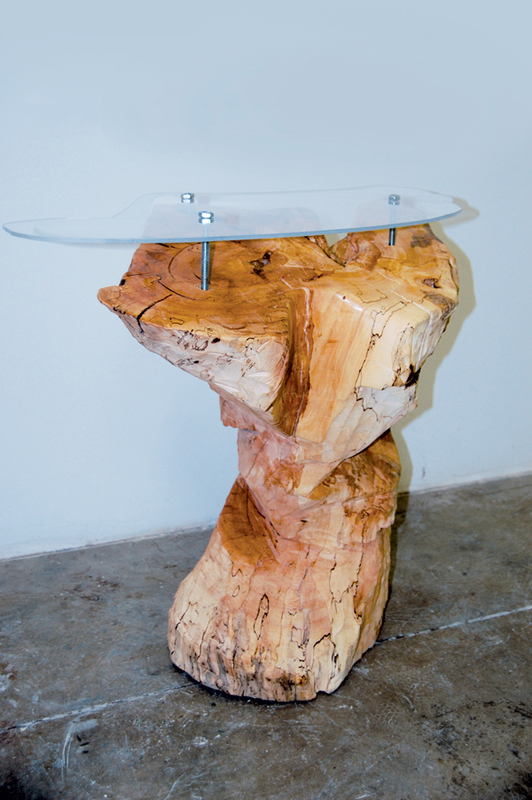 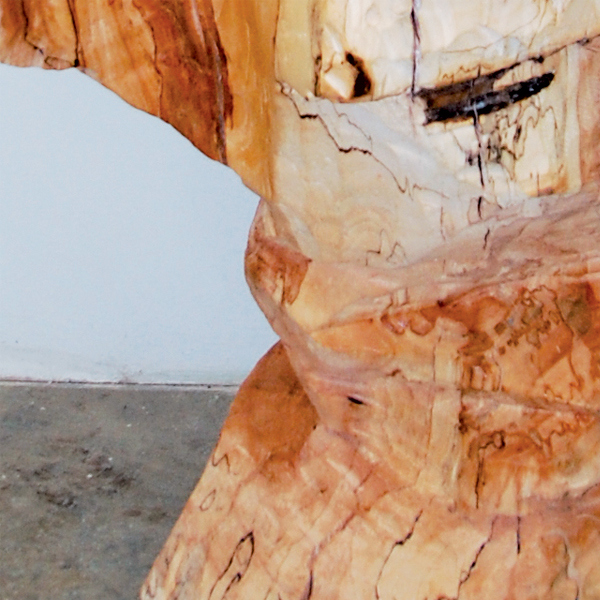 A large spalted maple stump was carved down into and organic abstract form that is used for an end table. 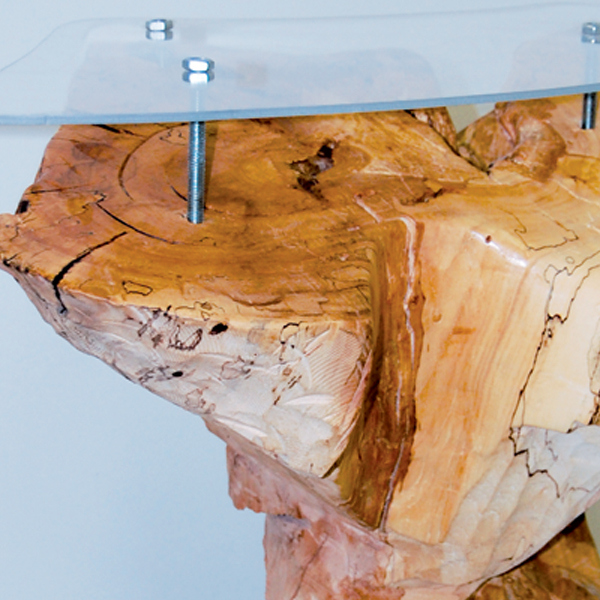 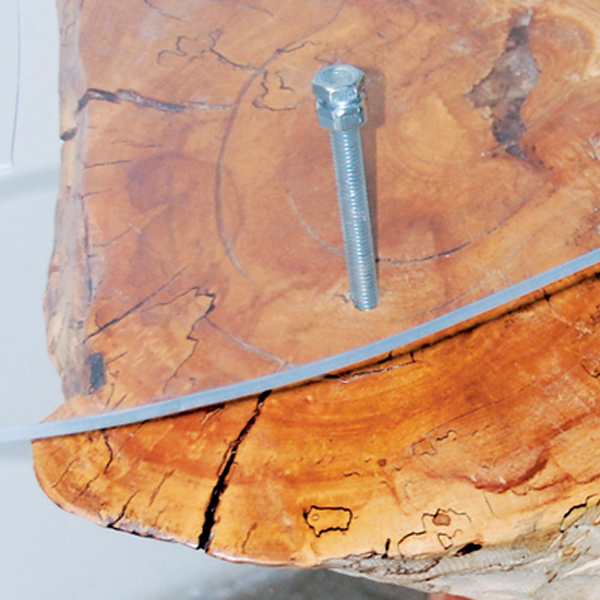 The level top is made from 1/4in clear plexiglass and is mounted via threaded steel rods. 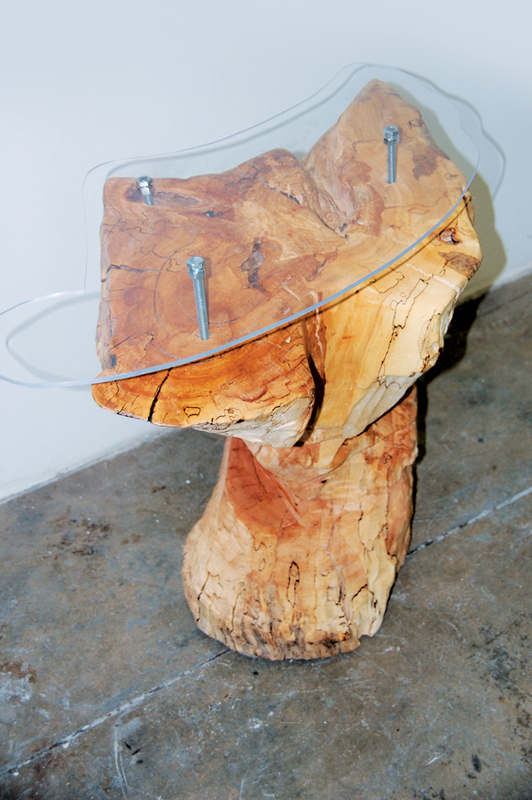 The piece was hand finished with multiple coats of high gloss tung oil.